What makes students experts on what a good teacher does or doesn't do? It's a question of ethics and a shifting of power. Now students hold the power in their hands. Teachers are resorting to pizza parties and giving out grades like candy. How many students have actually studied teaching methodology that would make them qualified to judge a teacher? What about validity and reliability? Students can't recognise what English sounds like. Students are using the evaluations as a way to get revenge. Either way, we're in trouble. Teachers are middlemen who are judged by the admin as well as the students. Fair game that the students evaluate them back, however, it should be viewed as what it is: students' opinions, which may be correct or incorrect. Now I would love to see the day when admin gets evaluated by teachers. I've heard of schools that get rid of the lowest scoring teachers, but have never ever heard of a school which welcomes teachers to critique the admin. Which is a crying shame when you see how many schools are managed. My opinion is that they're scared of what teachers might say. After all, they are supposed to be the experts and as such do everything perfectly. There are many, many ways that schools can motivate teachers. Negatively motivating them by threatening their jobs due to student evaluations should not be one of them. 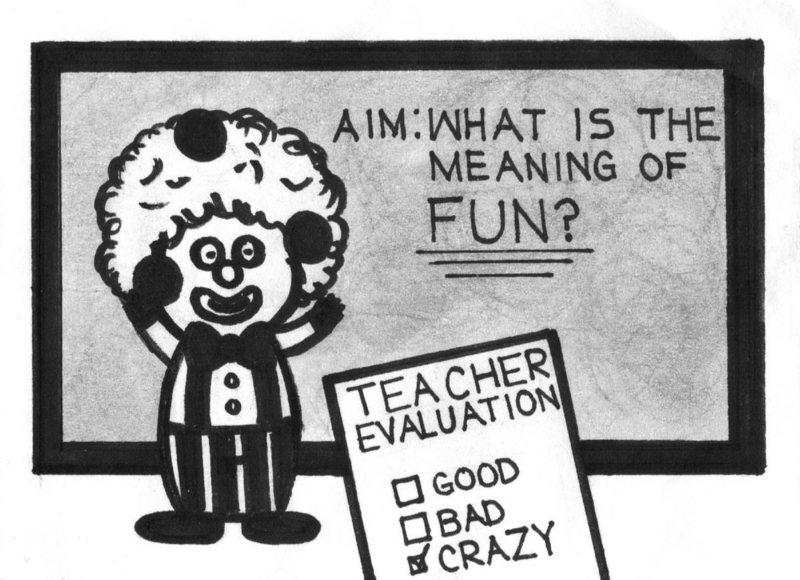 We all know that just because a teacher gets high evaluations doesn't necessarily mean they're a good teacher. Here are some tips I've heard over the years on how to get high student evaluations. Vanderbilt also has some good info about student evals. NPR has an interesting article called, Student Course Evaluations Get An 'F'. Take a look at the journal Quality Assurance in Education. A recent article entitled, Return to academic standards: a critique of student evaluations of teacher effectiveness proves just that: high student evaluations are no judge of how effective a teacher is nor at how well students will learn. Admin uses them because they're an easy way to put a score on a teacher and get rid of unpopular teachers. ESLCafeLatte expresses his opinion about student evaluation and says "Students should have a voice in instructor retention if there are egregious issues, but not simply to rid themselves of a difficult, challenging, demanding instructor, one who requires students to do the work. When the profit motive trumps academic standards, something is truly wrong." Students are becoming customers and able to hold their teachers'/professors' careers in their hands. Note: just because a teacher is unpopular does not mean they're a bad teacher. On the contrary, some teachers are unpopular due to their high standards. Truth be told, if you needed surgery, would you rather be operated on by . . . The one student who passed a class with a teacher that was given low evals for being strict? Or be operated on by a student who took a class with a teacher that passed everyone? The funny part? I bet the teacher that passed everyone got higher evaluations that the teacher that failed all but one student. Students are getting higher grades than ever before, but don't be fooled into thinking that they're actually learning more. I know I'm preaching to the choir here and there's probably nothing I can do about it, but hopefully more teachers will move up within the ranks and become admin themselves and be able to make some necessary changes.